5 Tips for Planning Your Marriage Proposal - Jeff Johnson & Co.
As a couple, make sure you’re both on the same page about the future of your relationship. You can still plan a surprise proposal, but you don’t want to take a chance that your partner isn’t ready for the next step in your relationship. So, before you propose, ask some general questions about marriage and your future together. This may sound overly traditional, but it’s more about asking for their blessing rather than their permission. If possible, meet with them in person, and use the time as an opportunity to express your commitment. You will all be family soon, so it’s best to make your future in-laws a part of this big moment in your life. When planning a proposal, keep your loved one in mind. It’s easy to get carried away and lose sight of what he or she might want in a proposal. If your significant other is shy, plan on a private, intimate setting. If you think your partner would like to share the experience with family and friends, invite them to the proposal or make sure they’re nearby and ready to celebrate. You should also make the proposal meaningful by paying special attention to the details. Pick a significant location, such as the place where you first met or went on a date. If you’d like to include music, choose songs that suit the moment and express how you feel. Speak from your heart, not from a script. Consider all the thoughts and feelings you want to verbalize in your proposal. While it may be helpful to highlight some of the big points in writing, remember that reading from your notes is not a good idea because you will sound insincere. Practice exactly what you want to say ahead of time, and you’ll be more comfortable and less stressed when it’s the real thing. Whether you’re resetting an heirloom stone or purchasing a new engagement ring, be sure to work with a trustworthy and reputable jeweler. 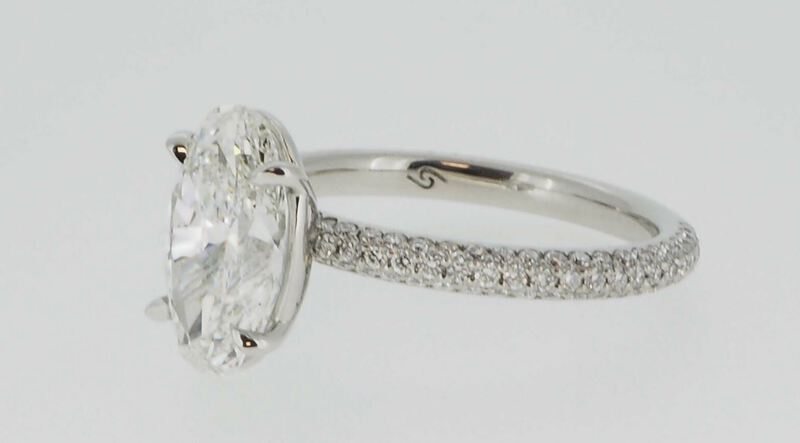 At Jeff Johnson & Co., we pride ourselves in offering a large selection of beautifully designed rings while also providing expert customization. Contact us today if you’re looking for help and guidance as you begin the next chapter of your life. We’ll work together to make sure you have the perfect ring for the perfect proposal.